3. The apostles never assume that God is a given. This is a big problem in the church today. Too many people assume that anyone talking about “god” is talking about God. And I don’t just mean those outside the church. Some of us do sniff out that there are different conceptions of “god” floating around, both in religious talk and in cultural use. But even within the church, it is thoroughly naive to assume that anyone referring to “God” is necessarily speaking with a full biblical awareness of the one true God revealed in the Bible. The epistle writers don’t just use a generic label and press on into practicalities. They always clarify and specify. Often we’ll find reference to the Father of our Lord Jesus Christ, or references such as “the God of all grace.” Let’s be real about the fact that even within the church, the God described by some people sounds like a different God than we see revealing Himself in the Bible. 4. The apostles never offered a paper-thin gospel. “God is the in-charge super-being who will judge you, so be sure you sort your relationship with him by praying this prayer.” Not something we find in the New Testament. The gospel they offer consistently communicates such realities as the intra-trinitarian relationships, the wonder of “in Christ” participation in that fellowship by the Spirit, inside-to-out transformation of a life by change of desires, the self-giving love of God as spotlighted by Christ’s atoning death on the cross, the divine countering of the Lie that still permeates this world through cosmic antagonism to the Truth, etc. More could certainly be added (feel free to comment, of course). 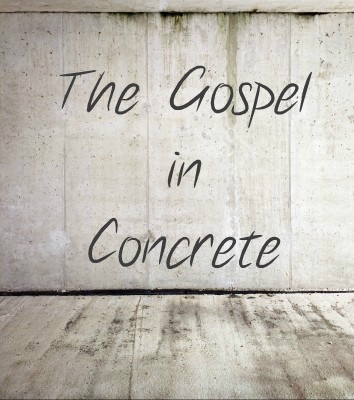 Let’s be looking at the epistles and recognizing the wonder of having these case studies in applied gospel theology for us to learn from and use as we seek to address the down-to-earth complexities of specific local situations. Thanks Stephen. You are right that there is an assumption with Jewish background audiences about the one true God. However, the point I was making was that there is a lot of clarifying in terms of “the Father of our Lord Jesus Christ” and similar definition. Yes people know there is an ultimate being of some kind, Romans 1 is not under dispute. But there is a danger when we expect too much from peoples’ understanding of who that God is. Even in the church, God is often understood as a set of truth statements rather than a real personal (three-person) God. Thanks for your comment. A few weeks ago I was reading exodus 3, the golden calf incident. When I re-inserted YAHWEH in place of “the LORD” it shouted at me that these people were claiming to be worshipping the one true living God, and may have even deceived themselves that that is what they were doing. It then made we ponder how many of us today worship a lesser god in God’s name. Reading on we see that rather than honouring God, as they claimed or believed, they offended Him. Today many Christians (perhaps all of us at some time and to some extent), like the Israelites in Exodus, try and put ‘God in a box’, to reduce HIm to something significantly less that He is; something that we are intellectually or culturally comfortable with. This reminder that we should not assume that our listeners are honouring the triune God whom we can and should know but whose magnificence is beyond our human comprehension, and reminding us how the Apostles dealt with this, is really helpful.